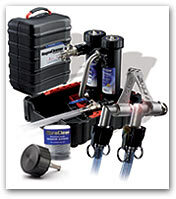 "Now using the Magna Cleanse Magnet Powerflush System. The No1 flushing technique in the UK !" Click on link below for more info. So dont miss out !!! This price is based on a 7 radiator combi boiler system. Typically British Gas charge over a staggering £500 for a power flush. Conventional systems P.O.A. 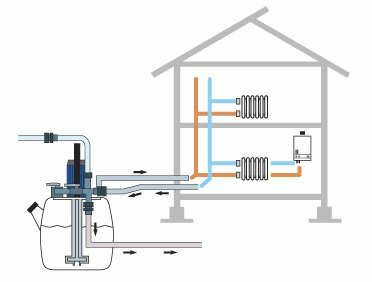 Why power flush your system? 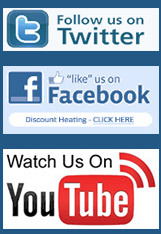 We cover the Liverpool, Wirral and Merseyside area we always recommend power flushing your old central heating system. If you install a new boiler to your old radiators without power flushing through your old system you are likely to drag through old limescale and sludge through your new boiler. This will reduce the life of your boiler considerably.In fact to almost half its potential life span. In fact most boiler manufacturers will not honour the guarantee on their boiler unless the old system has been flushed.You will also find boiler components breaking down consistently due to the old limescale and dirt running through the system. A power flush is considered to be much more effective than a chemical flush which does not have the same force. Please note. A power flush is required before any installation of our boilers. This increases the life expectancy of your boiler and system and is why we offer a FREE full 4 years full guarantee subject to our annual service.If you decide not to have a power flush you will have to revert back to the manufacturers limited warranty.